A 23- hectare biotechnology center, cost US$100 million, started work on May 25 in the Trung My Tay Ward of District 12, as a place for research and the production of biotechnology, specifically designed to benefit the agriculture and aquaculture sectors. 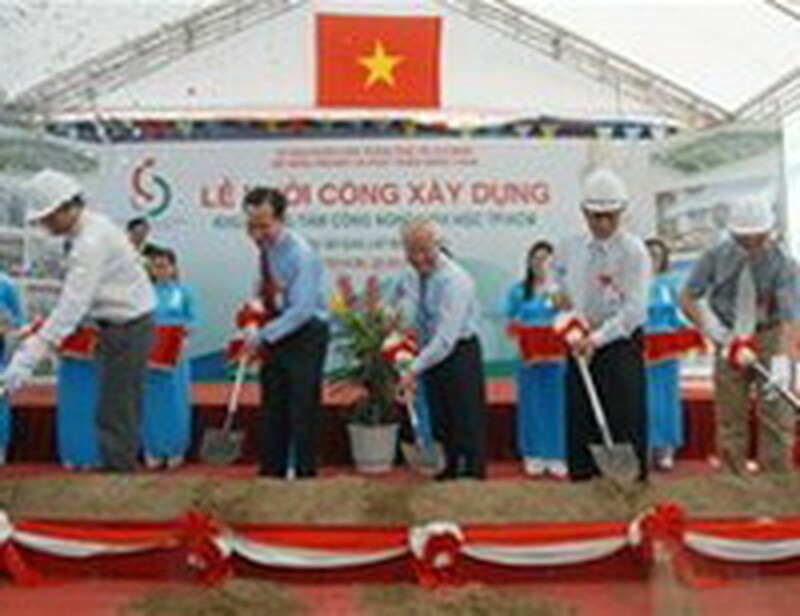 Chairman of HCM City People’s Committee Le Hoang Quan (2nd, R) at the groundbreaking ceremony of the biotechnology center at Trung My Tay Ward, District 12 on May 25. 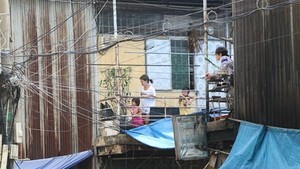 (Photo:Thoi bao Kinh te Sai gon). Speaking at the groundbreaking ceremony, Chairman of the HCM City People’s Committee Le Hoang Quan stressed the importance biotechnology during the current period, emphasizing the central role HCM City’s technology industries play in both the southern region and nationwide. He also asked relevant agencies to remove obstacles, which might compromise the project’s capital or slow the pace of construction. The center will select and adopt different biotechnologies from around the world, suitable for application in Vietnam, said Duong Hoa Xo, director of the center. The center will pay close attention to training its employees and plans to prioritize the biotechnology produced for agricultural and aquaculture sectors, Xo said. Xo said the center would include a greenhouse, a net house, an area for research and development and 12 biotechnology labs. The center is expected to become operational by 2014.